Atal Bihari Vajpayee's daughter Namita Bhattacharya and granddaughter Niharika collected the ashes from Smriti Sthal in New Delhi. The ashes of former Prime Minister Atal Bihari Vajpayee will be immersed in various rivers across the country, beginning in Haridwar today. Mr Vajpayee's daughter Namita Bhattacharya and granddaughter Niharika collected the ashes from Smriti Sthal in New Delhi today. 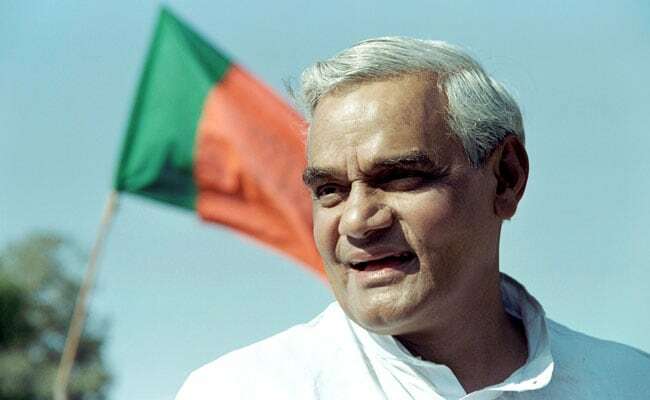 Mr Vajpayee's immersion ceremony in Haridwar will be attended by Home Minister Rajnath Singh, Bharatiya Janata Party (BJP) president Amit Shah, Uttar Pradesh Chief Minister Yogi Adityanath, Uttarakhand Chief Minister Trivendra Singh Rawat among others. After Haridwar, Mr Vajpayee's ashes will be immersed in various rivers across the country. It will be immersed in all the holy rivers of Uttar Pradesh, including Ganga, Yamuna and Tapti, to respect his grand stature, the state government had announced on Friday. Earlier, Yogi Adityanath had said that Uttar Pradesh is Mr Vajpayee's workplace and by immersing his ashes in all the rivers across the state, people will get a chance to be a part of his last rites. Mr Vajpayee, the 10th prime minister of India, died on Thursday evening. He was cremated on Friday with full state honour at Smriti Sthal in the national capital.